STORServer boasts some of the industry’s leading backup, archive, and disaster recovery experts. Our white papers allow us to share industry insights and our own expertise on important data protection issues. Some white papers share brand-neutral information to assist you when researching data protection solutions for your business or personal needs. Others provide more detailed information about STORServer product features, and are intended for both existing and future customers. Learn about why a backup appliance is a viable data protection option for your enterprise, including the five features of this data protection solution you can’t be without. Learn about how to protect and restore your VMware vCenter Server with STORServer Virtual Machine Backup (VMB). Learn about backup appliance technology and why it is a viable option for your business’ data backup and recovery. 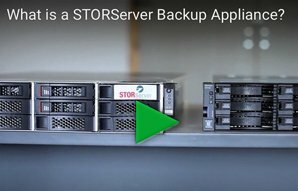 Learn about the full scope and functionality of a STORServer Backup Appliance in this white paper. Learn how to use our Disaster Recovery Manager to plan effectively in this white paper. Download this white paper to learn about IBM encryption technology and why it is important for your data.